Mindy graduated from Hamburg High School and has been a Berks County native all her life. She has been employed by Family Dentistry for 11 years and is our receptionist, bookkeeper, insurance coordinator, and all around ‘Girl Friday’. She has a grown son and lives on a farm in Kempton with her husband. She enjoys camping, traveling, gardening (flowers and vegetables) and riding motorcycles. Monica graduated from Boyertown Area Senior High School and from Berks Vocational Technical School where she went for Dental Assisting. She has worked as a dental lab technician for several years in a dental implant lab and also has experience as a dental hygiene assistant. In 1992, she was the first employee hired to work for Dr. Boyle. Her duties included working the front desk (answering phones and making appointments) also working as his clinical dental assistant ( taking x-rays, assisting during dental procedures and doing lab work). 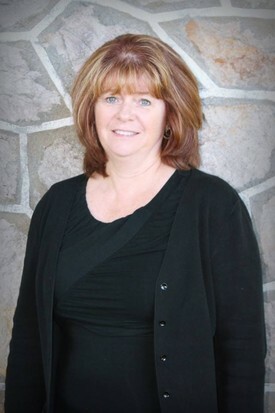 She has been working side by side with Dr. Boyle for over 24 years and has vast knowledge of every aspect of the dental field. She went back to school in 2002 and got her EFDA ( Expanded Function Dental Assistant ) licensure from Harcum College. Not only does she assist Dr. Boyle but she can do expanded duties like placing and carving restorations, placing sealants and can also polish teeth so that Dr. Boyle can be freed up to do other procedures. As far as Monica is concerned, she loves her job and couldn't see doing anything else. Every day is challenging. She likes getting to know and build relationships with our patients. There is nothing like getting a fearful patient treated and being able to see them actually smile and be happy about their appearance. She continually likes to read upon new products and see how we can bring the newest technology into our dental practice. She belongs to the PA EFDA Assoc., The National Dental Assistants Assoc. and the American Dental Assistants Assoc. Monica lives in the beautiful Oley Valley. She has been married to her Husband Kirk for over 24 years and has a grown daughter Marissa and has 2 dogs and 2 cats. Spending time with her family is very important to her. Also, she loves baking, cooking, DIY projects and loves taking road trips. 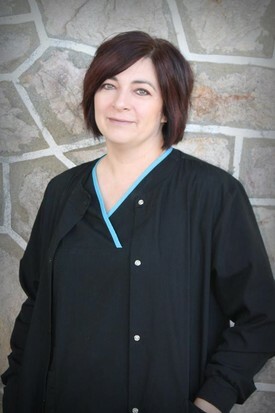 Chrissy is our versatile Certified Dental Assistant. 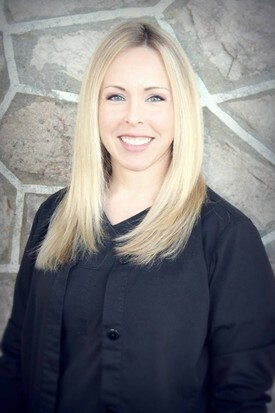 She has 11 years experience in the dental field and joined our team in 2007. She went to Berks Career and Technology Center for dental assisting and because she loved what she does so much, she decided to attend Harcum College in Bryn Mawr, where she earned her Expanded Functions Dental Assisting license. When not at work, she enjoys spending time with her fiancé and their two dogs, a boxer and a pug. She also enjoys being outdoors, cooking, baking, and as Dr. Boyle puts it, "would travel a great distance just for a sandwich".